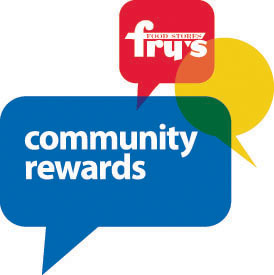 Want to learn more about Fry's Community Rewards? Click here to visit their website. Did you know you can support Unity of Mesa just by shopping at Fry's? It's easy when you enroll in Fry's Community Rewards! To get started, ﻿click here to sign up﻿ with your V.I.P Card, and select Unity of Mesa as the organization you wish to support. Once you're enrolled, you'll earn rewards for Unity of Mesa every time you shop and use your V.I.P Card! Click this link to go to the Enrollment page. Have a Fry's account? Enter your Email & Password. Don't have a Fry's account? You need to choose "Create an Account" and follow the prompts. Type in MK332 for the "Organization Number." Select "Unity of Mesa" by clicking the circle to the left of the name. Use your Fry's V.I.P. Card when shopping. Unity of Mesa thanks Fry's and you for your commitment to helping our community grow and prosper. We are grateful!